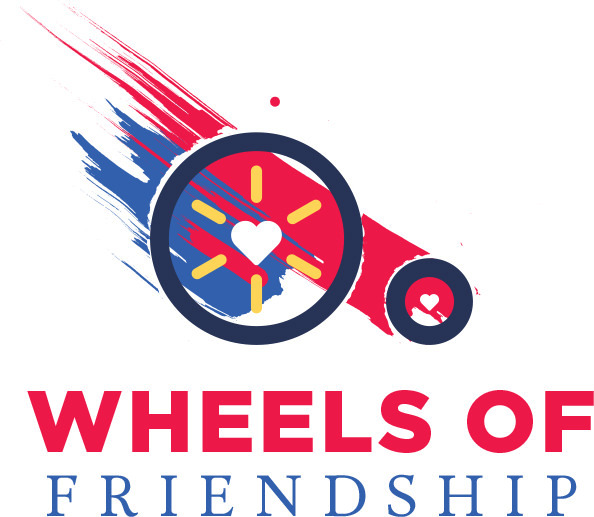 Modeled after an earlier project by Mikayla and her art class at NAMS, Mikayla’s Voice developed the “Wheels of Friendship” inclusive painting program to give other groups of children this amazing opportunity. When classes (always including a child who uses a wheelchair or service dog!) meet to develop the concept for their own collaborative painting, they enjoy valuable discussion about differences, understanding and acceptance. Together they decide how their painting will remind fellow students ~ current and future ~ to embrace everyone in their school. Through collaboration on the concept and creation of the painting itself, students from kindergarten through high school learn the value of working together and how everyone brings their own ideas and talents to the project. Every project is as inspiring as the last and motivates us to bring this experience to other children in additional schools in the Lehigh Valley and across the state. Once the paintings are finished and the canvases are wrapped on frames, they serve as priceless vehicles through which to share the message of inclusion with entire school communities.